Kifune Shrine, located in the mountains north of the city proper, is a veritable oasis in the summer months, with cool shade offered by bountiful maple trees and a fresh breeze coming from the river running alongside the village streets. 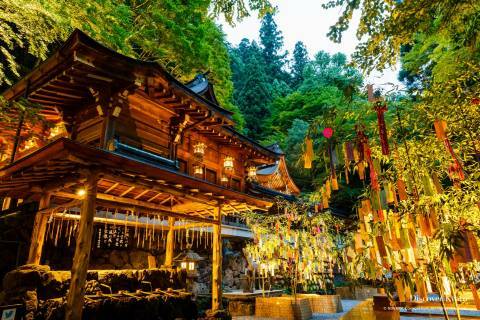 Once the Tanabata Bamboo Decoration Light-up event begins in July and August, however, this shrine becomes an even more tempting place to visit! Running from July 1st to August 15th, the light-up begins at dusk and continues until 8 pm each night (shrine offices close at 7:50 pm). 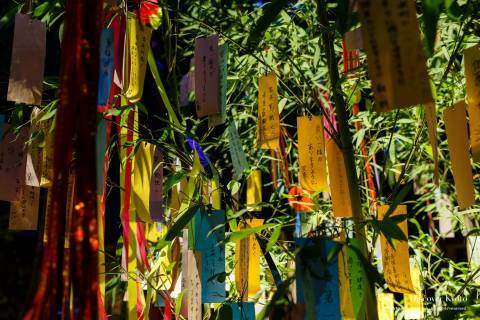 Visiting shrines at night provides a totally different atmosphere than visiting during the day, and Kifune Shrine looks almost otherworldly when illuminated alongside traditional Tanabata décor consisting of colorful strips of paper with written wishes hanging on large bamboo branches. The Tanabata legend, which hails from China originally, tells the story of lovers Hikoboshi the cow herd (the star Altair) and Orihime the weaver (the star Vega). The two are so consumed with their love for each other that after their marriage they end up neglecting their duties in heaven, which lands them in trouble with Orihime’s father, the lord of Heaven. He separates the two on opposite sides of the Milky Way and only allows them to meet once a year, on the day now celebrated as Tanabata. 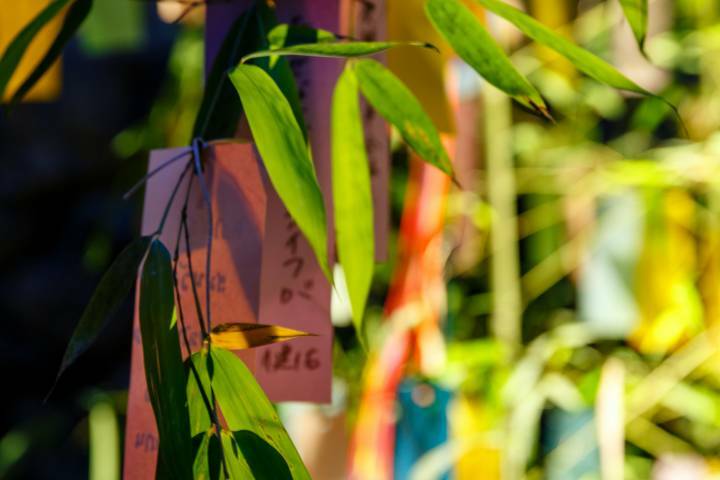 Because the Tanabata festival was merged with another tradition, the Festival to Pray for Better Skills, people began the tradition of writing the skills they wished to improve on slips of paper to hang from bamboo branches. 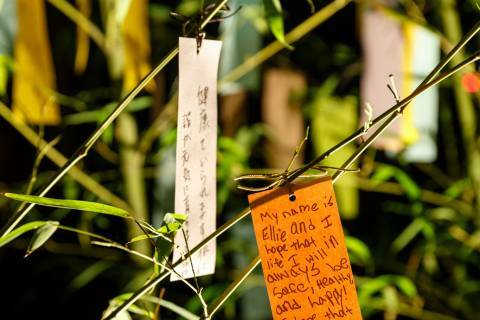 These days, however, most people write wishes of all kinds, and at Kifune Shrine you can select a colored piece of paper and hang your own wish on the available bamboo for just a 100 yen donation. 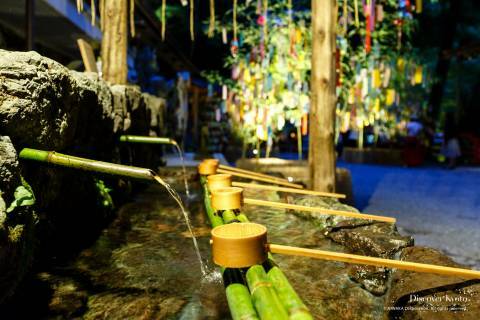 If you’re looking for something to do in Kyoto at night, or hoping for a chance to explore a shrine set up for the summer season, take yourself to Kifune Shrine during the Tanabata Bamboo Decoration Light-up period — and don’t forget your camera!